Cuticle Softener is designed for everyday care of cuticles around the nail plate. It contains apricot kernel, almond shell and nut scrub particles which delicately exfoliate and smooth the epidermis. Silk perfectly moisturises and keeps your hands well-groomed. 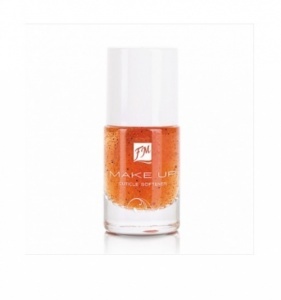 Algae extract softens the cuticles allowing their easy removal, and vitamin C and E complex has antioxidant properties. Apply two coats on the skin around the nail and rub gently in. Contains apricot kernel, almond shell and nut scrub particles, silk, algae extract and vit C and E.